Discussion in 'Femmes' started by CharlottefromCA, Jun 12, 2009. Paolla Rahmeier is a Brazillian beauty with lots of charisma. Paolla is 15 years old and already signed with IMG in NY, Paris and Milan. This girl has a strong personality which shines through, along with total crossover appeal. Great eyes, a perfect pout and long legs mean that Paolla is potential plus! 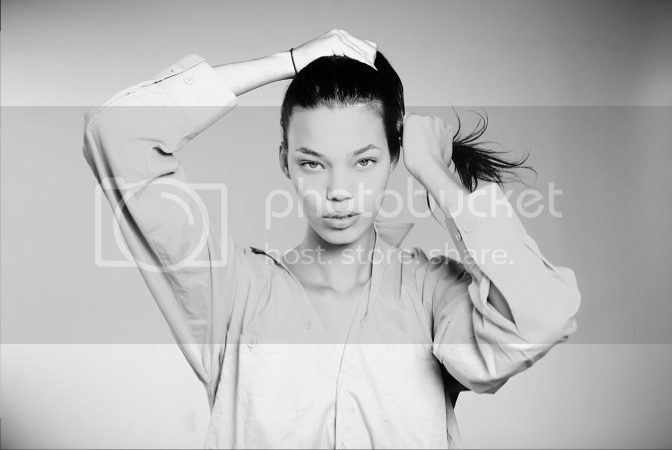 She was discovered at age 11 by Mauro Perez from V_Model (www.vmodel.com.br) in Curitiba, PR. She hails from the city of Cascavel in the state of Paraná, Brazil. New girl @ IMG New York. There is such a presence in her almond shaped eyes and with her appeal, I could easily see a bright future in her hands! I noticed her on IMG's website earlier. She bears a strong resemblance to Rianne Ten Haken, but Paola's eyes are a lot more alluring. Yeah, I do see that resemblance. I wonder where she's from. I bet she's a mixed race, wouldn't be surprised if she's half Brazilian or half Asian of some sort. Asian+Brazilian is the first mix that came to my mind when I saw Paola! Thanks for starting a thread for her, to which I immediately subscribed..she's so gorgeous Looking forward to see much more from her in the future! Someone needs to upload those. the first time I saw her I was with her booker Mauro Peres (Vmodel), she was only 11 years old with 1,74m with braces... Ciryl from Viva was on that DLMM event with us, and from the beggining we knew that she would be a great model. Today she is with 1,80m, 16 years old and last time i shot her I was really impressed!!! She is one of my favorite new faces at the moment! Pretty sure this is her for Monique Lhuillier Bridal S/S 11. New obsession. Wow. Just absolutely. Wow. Those lines, those lips - the total package! !